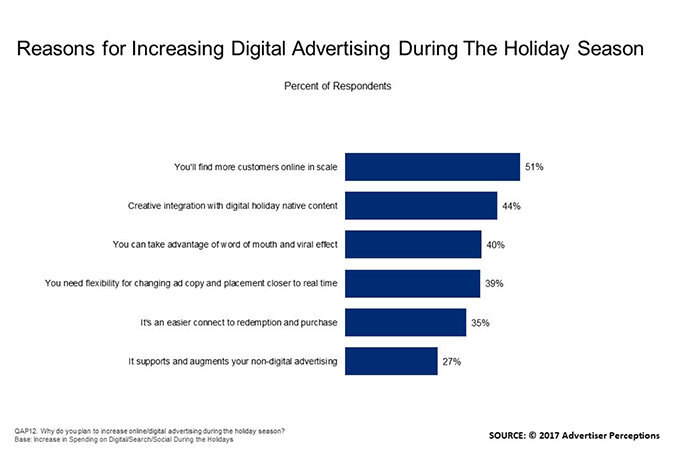 Most advertisers are upping spending this holiday season, and they’re particularly bullish on digital media. 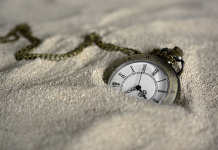 Fully 59% are spending more on digital platforms, while only 8% are spending less – a net optimism index of 51, roughly double that of sponsorships and TV, according to more than 300 advertiser interviews conducted in late October by Advertiser Perceptions. 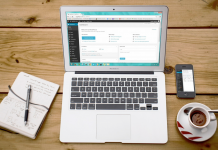 The reasons: They expect to find more customers online, where they can adjust what they say and where they say it in real time to support holiday native content, trigger word of mouth, and connect audiences immediately to purchase and redemption sites. Only 26% of agencies do. 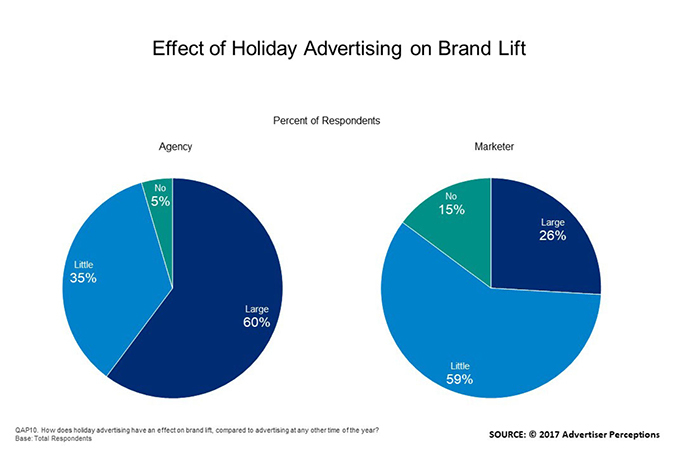 Some 15% of marketers expect no lift at all. 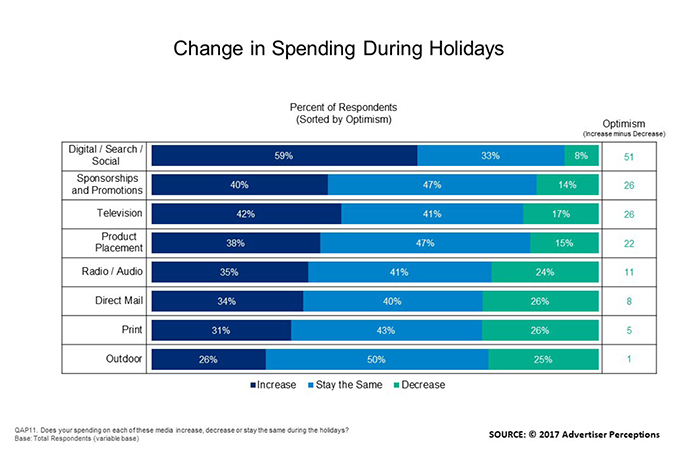 Slightly more than half of those who think holiday spending will increase sales based their estimates on quantifiable evidence from the 2016 holiday season. 65% of optimistic marketers cited data, versus 48% of optimistic agencies. That’s according to 311 online interviews Advertiser Perceptions conducted last month with executives (60% agency, 40% marketer) involved in their brands’ media selection. 33 of the top 200 advertisers were represented, including several of the world’s largest retailers and suppliers. Fully 59% VP and above, 23% director/supervisor and 18% manager/planner/buyer.